Mark Your Card is a weekly programme that is aired on Saturday mornings. 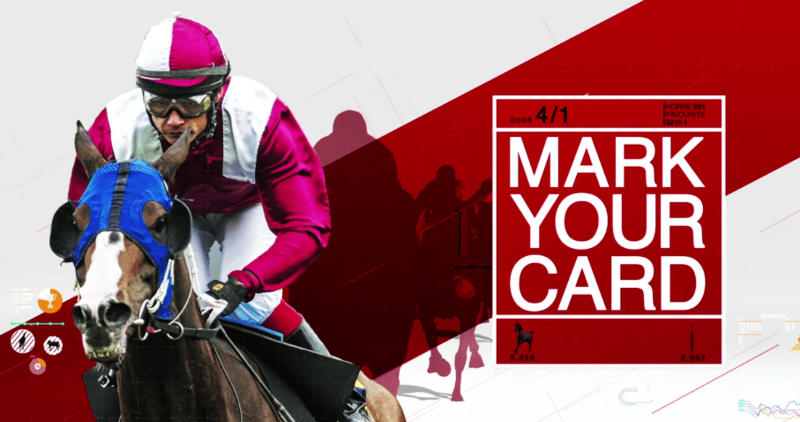 It incorporates topical debates, guides you through the essentials of the day’s horse racing and offers professional advice on the Saturday afternoon runners and riders. TellyJuice was asked to come up with the opening show title sequence for the relaunch of the programme. Designer Ian Clarke took inspiration from jockey silks, from which he created a palette of vibrant colours and geometric designs. He also studied betting cards so he could use the stats, courses and horses. Next he chose the music to reflect the show’s fresh, exciting vibe and put some style frames together. Racing UK were delighted with the forecast, so as the going was good Ian went off at a gallop. 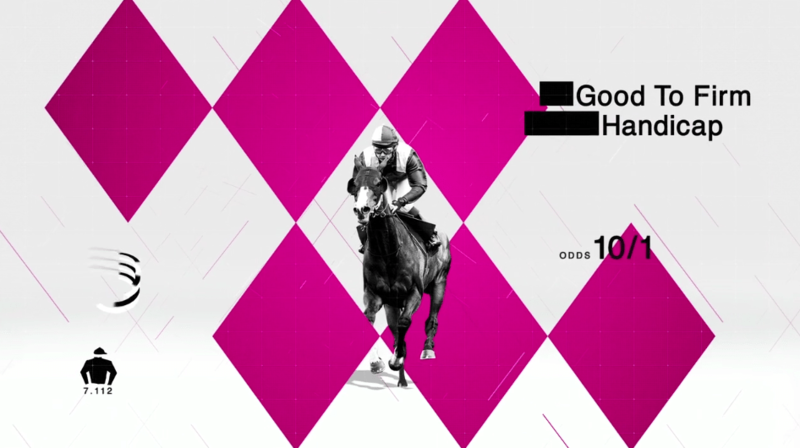 In just two weeks from concept to delivery we crossed the finishing line and delivered the 30 second title sequence. 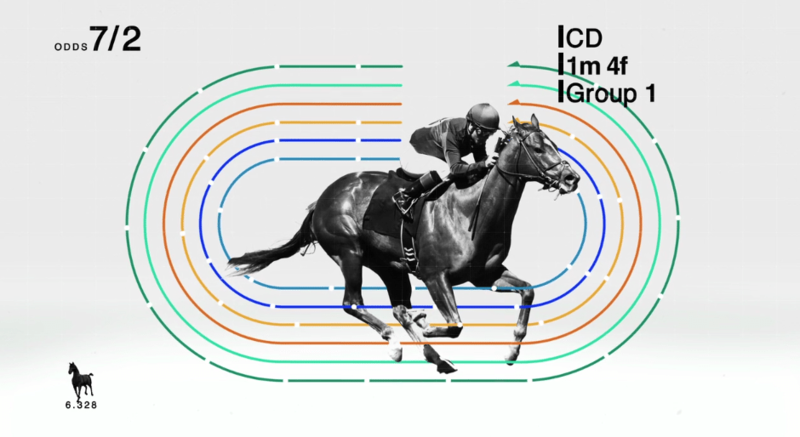 It was great to dip my toe into the world of horse racing and apply my design skills to a fresh new area for me. I’ve learned a lot, I’m pleased with the result and it was really good fun.